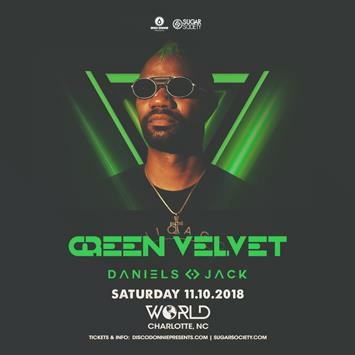 Due to a family emergency, Green Velvet’s show at the World in Charlotte on Nov. 10, has been postponed to February 9th, 2019. Tickets purchased on See Tickets will automatically transfer to the new date. No further action is needed. For additional questions, or if you have conflicts with the new show date, please email us at tickets@discodonniepresents.com. We regret any inconvenience caused and look forward to bringing Green Velvet back for his rescheduled performance.